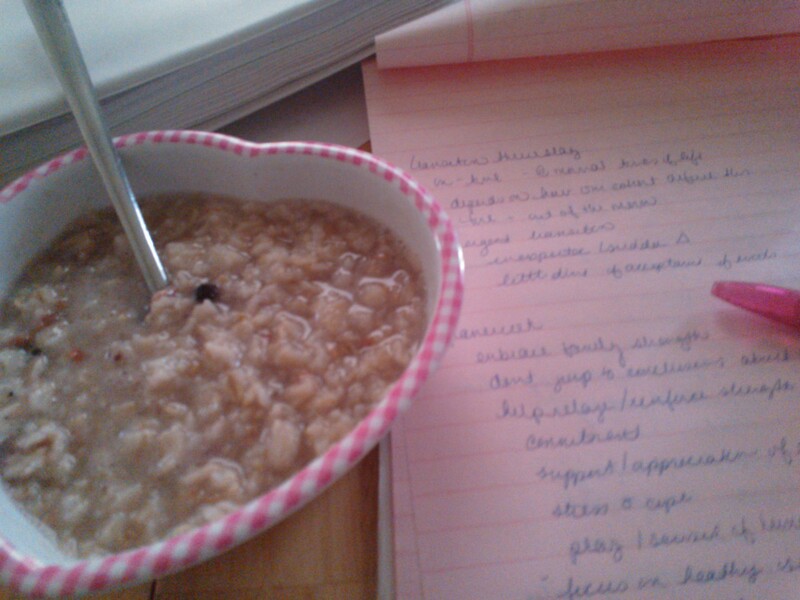 Test day began with a bowl of oatmeal, as all test days do. Today was Very Berry by Better Oats (its a pretty sweet oatmeal, if you like sweet). After some studying at home, I met the girls at Dunkin Donuts for some pre test cramming. It seemed like a lot of the information in this exam was review from previous semesters. Those are always the ones to watch out for because you think yeah, I got this… and it almost gives you less drive to study. While on my way home, I swung by a few grocery stores down that way. I am firm believer that if you find a product you really like, its worth going to that store on occasion For instance, the Giant on Rt. is the only grocery store around me that I can find VitaPizza or FiberOne bread and tortillas! On my way home, my phone vibrated. I had been awaiting a call from dad to see how is doctors appointment went. When I stopped at a red light, I checked my phone to see I had a text message, a picture. 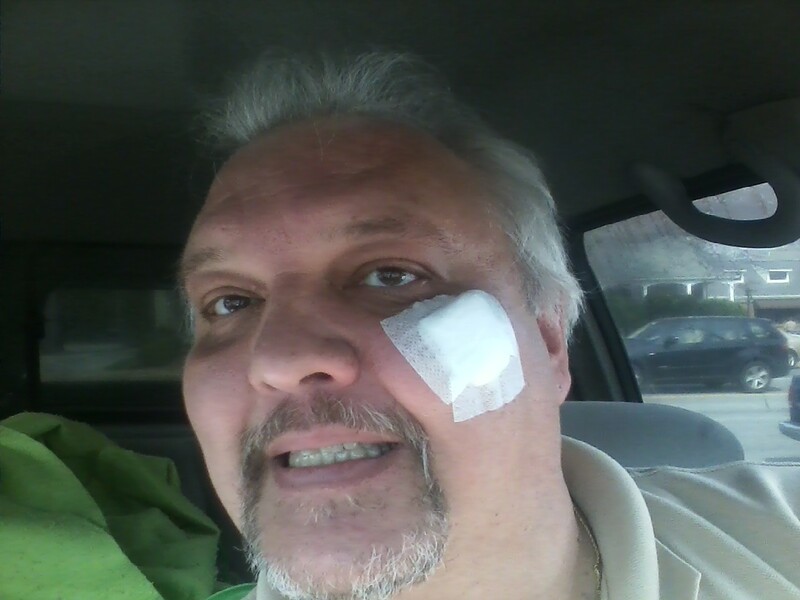 A few weeks ago, dad had a piece of tissue removed from his cheek to get a biopsy done. Today, the doc told him today, that it was pre-cancerous. 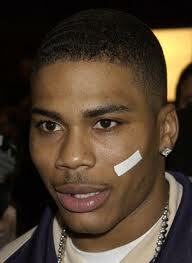 The doc cut the lesion away. I’m really thankful that dad had this checked out early before it developed into something far worse. But this gives me the opportunity to get on my nursing pedestal and preach about the importance of protecting your skin. Always use a sunblock. Trust me, you will still tan with a sunblock, if that is your concern. Also, pay attention to you skin. If one day you look at yourself and say, “was that always there?” you might want to check that out. Or if a mole looks a little different to you or if your skin has a pigment change, like a liver spot, you might want to check that out. I am not saying be paranoid about your skin, but be cautious and proactive. To learn more about precancerous skin lesions and ways to protect your skin, click here.